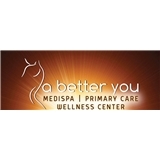 A Better You - LLC (Odenton) - Book Appointment Online! At A Better You, we are committed to providing quality services and products with an overall approach to healthy living. Discover the fusion of medicine, wellness and spa services, where our dedication to your well being is of utmost importance. A Better You's combination of relaxation, reprieve and stress-reduction enables our guests to achieve a balance between day to day demands, while allowing our guests to enjoy a warm and serene atmosphere. My first visit to Dr. Clarke - Bennett ' s office was by far one of the best visits I ever had. We spoke for more than a half hour. She actually cared about getting to know me to better assess my needs. She took me on a tour of the beautiful facility. She called me a few days later (on a Saturday afternoon) to see how the new medication was effecting me and to check on my progress. Since my visit to Dr. Clarke-Bennett's office I have taken her concerns with my blood pressure very seriously and have since undergone a lifestyle change. In 8 days I lost 6 pounds and my blood pressure has went down some. Although I am not an overweight person, the shedding of the pounds has had a noticeable effect. I feel soooo much better! I don't normally write reviews but I had to in this case. I highly recommend this Doctor!!! !